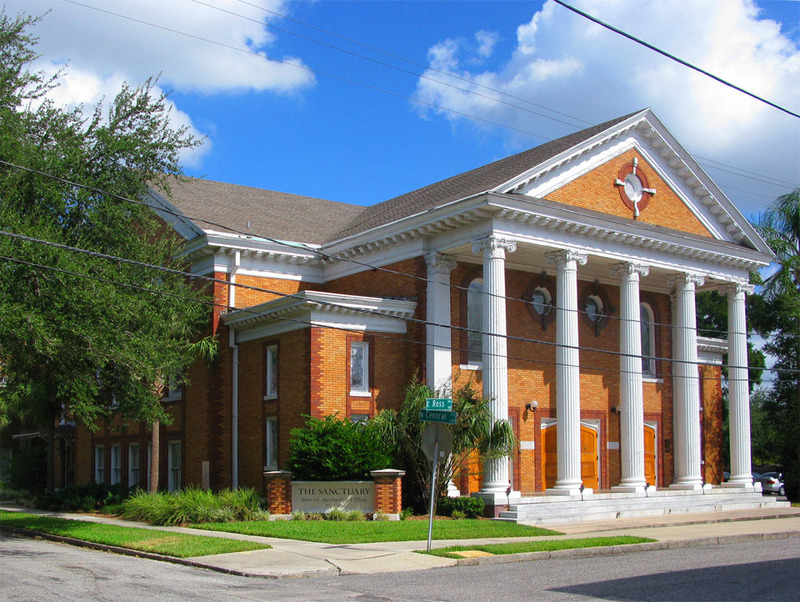 The former Tampa Heights Methodist Church, at corner of Ross Avenue and Central Avenue, was built in 1917. 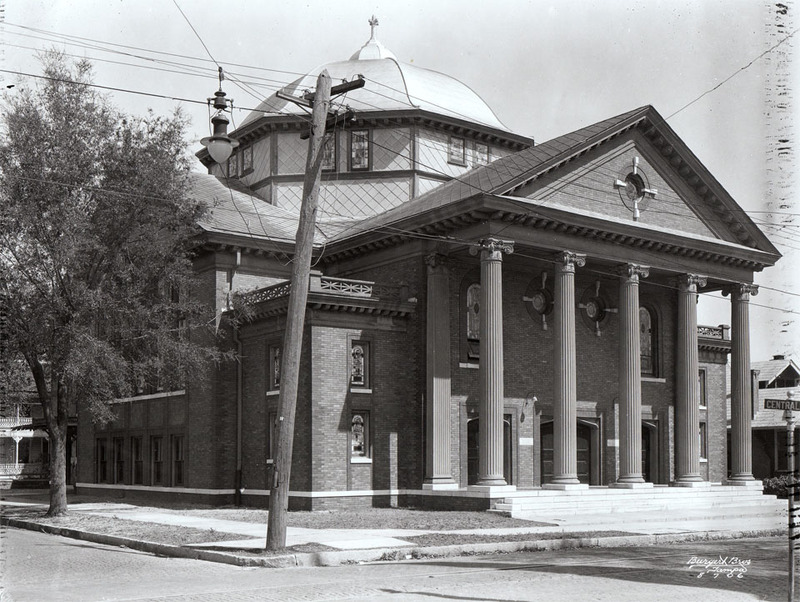 However, due to a fire in 1947, the Greek revival style building was rebuilt with a less ornate roof. The church was closed in the 1980s, but in 2002 it was renovated into lofts and offices and is now called the Sanctuary. Beautiful! Check out the street lamp at upper left.